The Borderlands hype machine is in full effect, and if the latest preview is any indication, the game looks to be worthy of all the buzz. 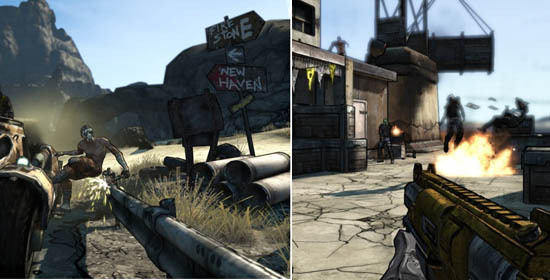 G4 has a preview of Borderlands' co-op mode, and it's pretty sweet. Drop in, drop out, item trading, scaling difficulty as players are added, and a host of special abilities that all work together... yes, we love all these things. To top it all off, there's even a tidbit about the change in art style. The preview is definitely worth checking out. Is it October yet? Page created in 0.2231 seconds.